AS FEATURED ON ‘ THIS MORNING’. SKU: TRPD1. 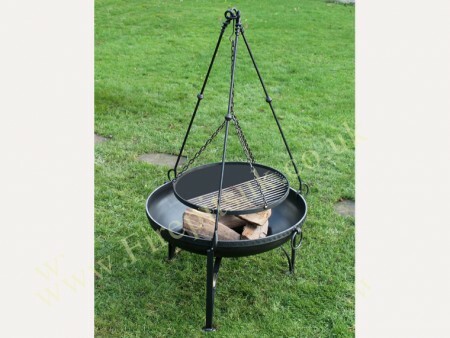 Category: Accessories, Firepits. 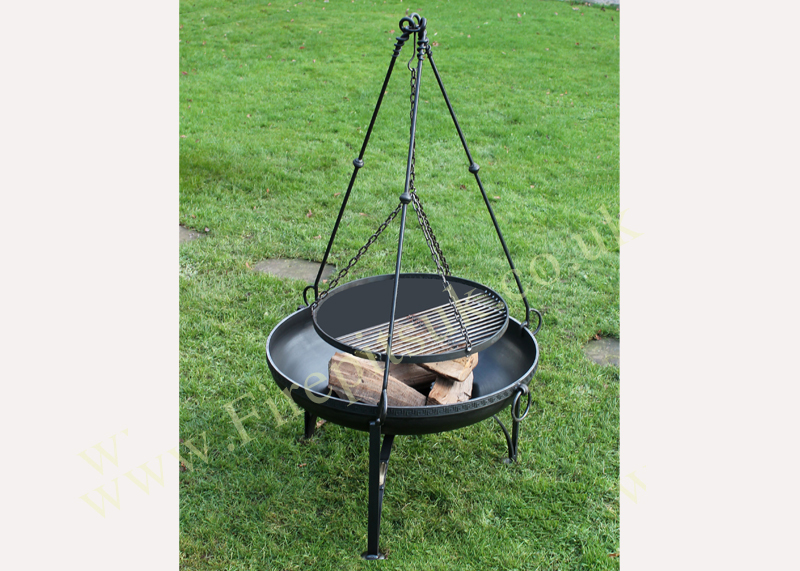 Strong and substantial, our hand forged Tri-Pod Cooking Rack is designed to sit on top of your fire bowl. With a half plate, half bar BBQ Rack design, it is suitable for cooking a wide variety of foods alongside the traditional uses of boiling, heating stews etc. With gloves, the chain can be rotated to move the BBQ Rack away from any hot spots that may arise; the chain height is also adjustable. 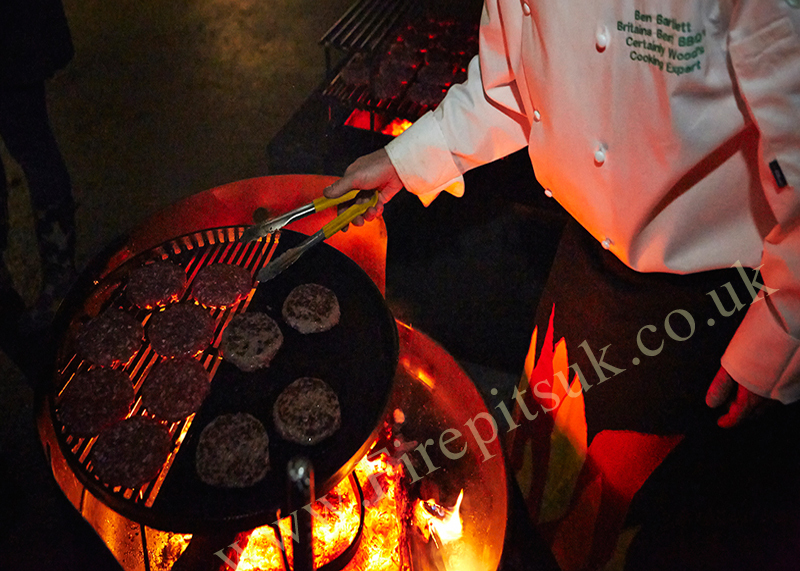 A great visual piece, perfect for parties, outdoor events, camping or individual use! Please note that the fire pit is available by separate purchase. Available in two different sizes: Small to fit 70cm bowls, and Large for 80 and 90cm bowls. Delivery: £25 UK Mainland excluding Highlands. If part of a multiple purchase, this cost will be be recalculated at checkout.